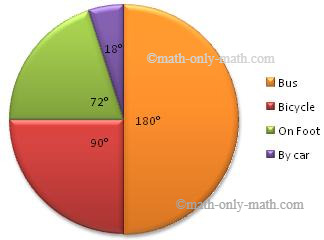 In the worksheet on pie graph the information are given in the questions to draw the circular graph after the calculation. 2. 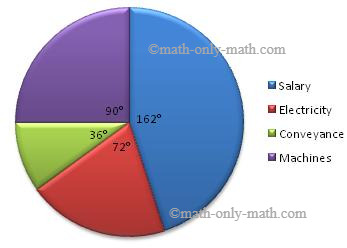 The percentage of expenditure of a company under different heads is as follows. 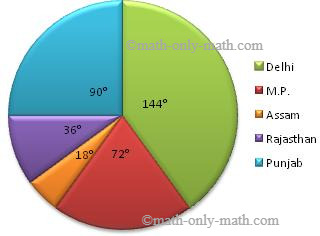 Answers for the worksheet on pie graph are drawn below after calculating the central angles for the various observations, to represent these angles within a circle to obtain the required pie chart.